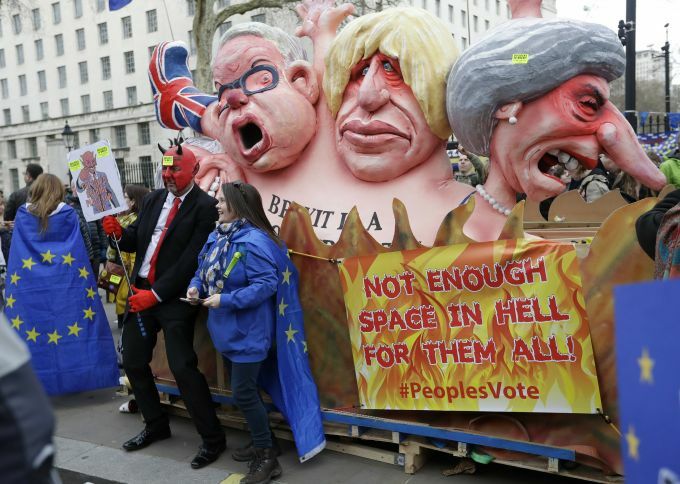 London : Effigies of British Prime Minister Theresa May and Conservative politicians Boris Johnson and Michael Gove, from right, and displayed during a Peoples Vote anti-Brexit march in London, Saturday, March 23, 2019. Anti-Brexit protesters swarmed the streets of central London by the tens of thousands on Saturday, demanding that Britain's Conservative-led government hold a new referendum on whether Britain should leave the European Union. 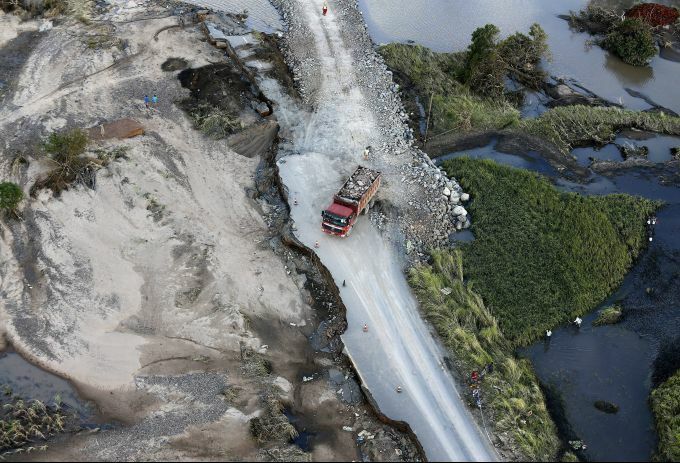 Beira : An aerial photo shows a truck as it manoeuvres on a damaged road following the devastating Tropical Cyclone Idai in Beira, Mozambique, Saturday, March 23, 2019. A second week has begun with efforts to find and help some tens of thousands of people in devastated parts of southern Africa, with some hundreds dead and an unknown number of people still missing. 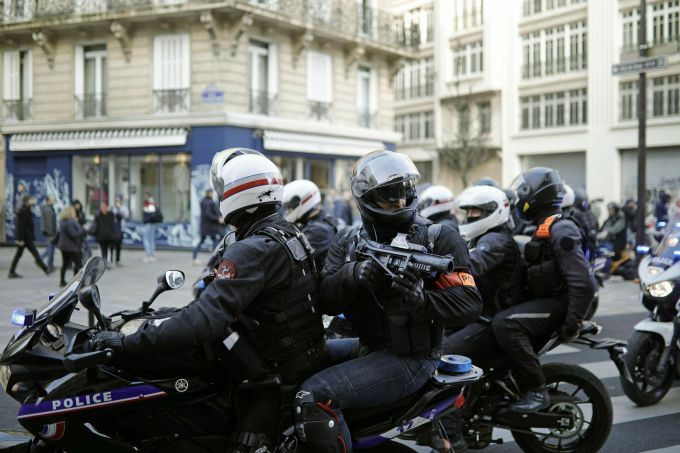 Paris : Police officers travel around on motorcycles during minor clashes with demonstrators in Paris, Saturday, March 23, 2019. The French government vowed to strengthen security as yellow vest protesters stage a 19th round of demonstrations, in an effort to avoid a repeat of last week's riots in Paris. Chennai: Royal Challengers Bangalore' Skipper Virat Kohli leaves field after lost his wicket against Chennai Super Kings during the first match of 12th edition of the Indian Premier League 2019 T20 cricket tournament at MAC Stadium in Chennai, Saturday, March 23, 2019. 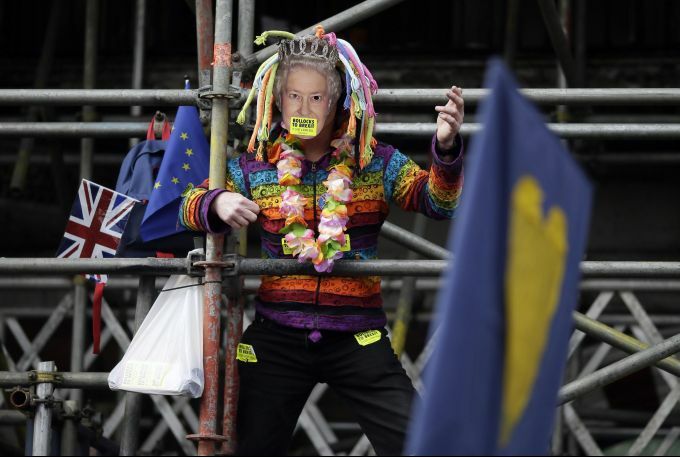 London : A demonstrator wearing a mask of Queen Elizabeth II stands on scaffolding during a Peoples Vote anti-Brexit march in London, Saturday, March 23, 2019. The march, organized by the People's Vote campaign is calling for a final vote on any proposed Brexit deal. This week the EU has granted Britain's Prime Minister Theresa May a delay to the Brexit process. 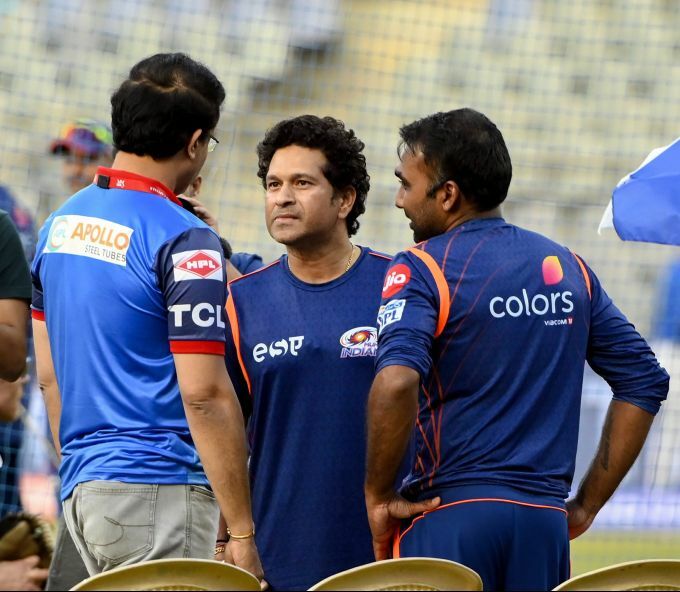 Mumbai : MI team members Sachin Tendulkar and head coach Mahela Jaywardhane along with Delhi Capitals coach Sourav Ganguly during a practice session on the eve of the Mumbai Indians and Delhi Capitals IPL match in Mumbai, Saturday. March 23, 2019.